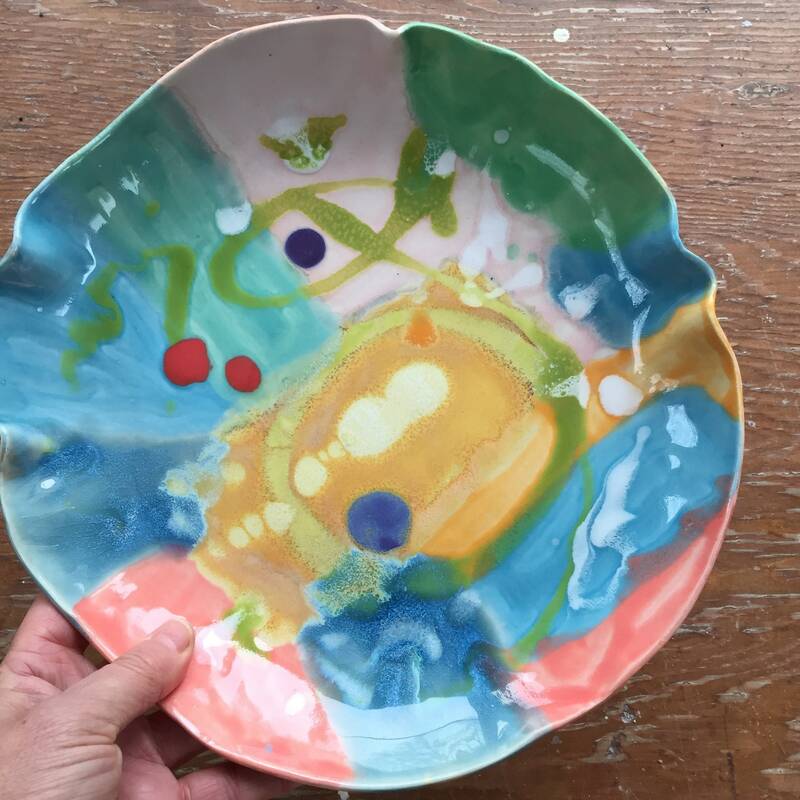 This colorful bowl has an organic shape and a unique hand painted abstract design. A one of a kind piece of functional art for your table top. 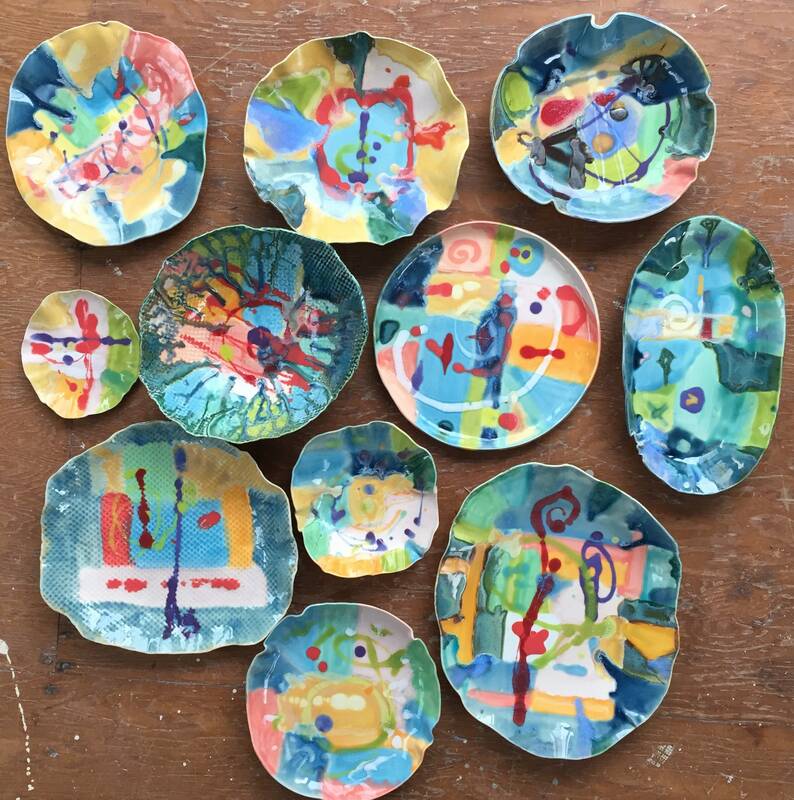 I create my pieces from hand rolled slabs of porcelain clay, formed into organic shapes. 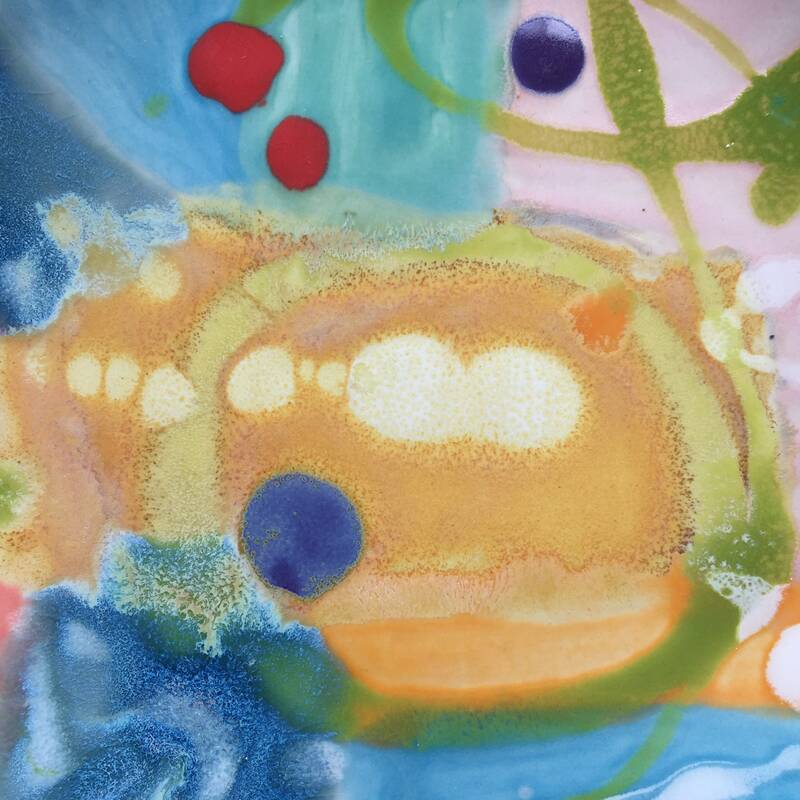 An abstract painting is created (by me) on the bisqued form, by brushing on pottery glazes that are permanently fused onto the clay in my electric kiln. 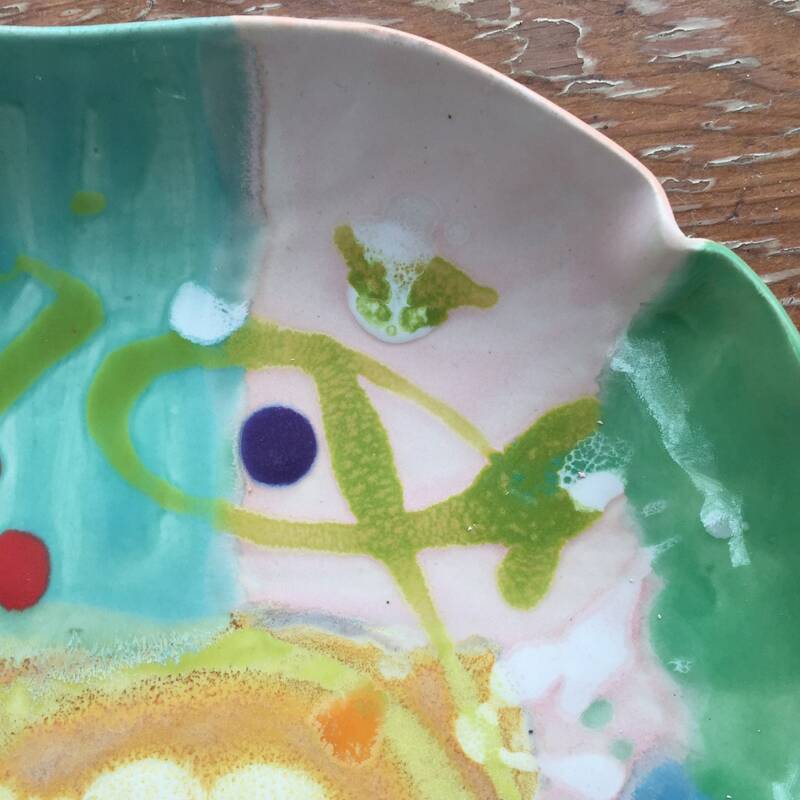 The colors will never fade - and the pieces are dishwasher safe (really!). 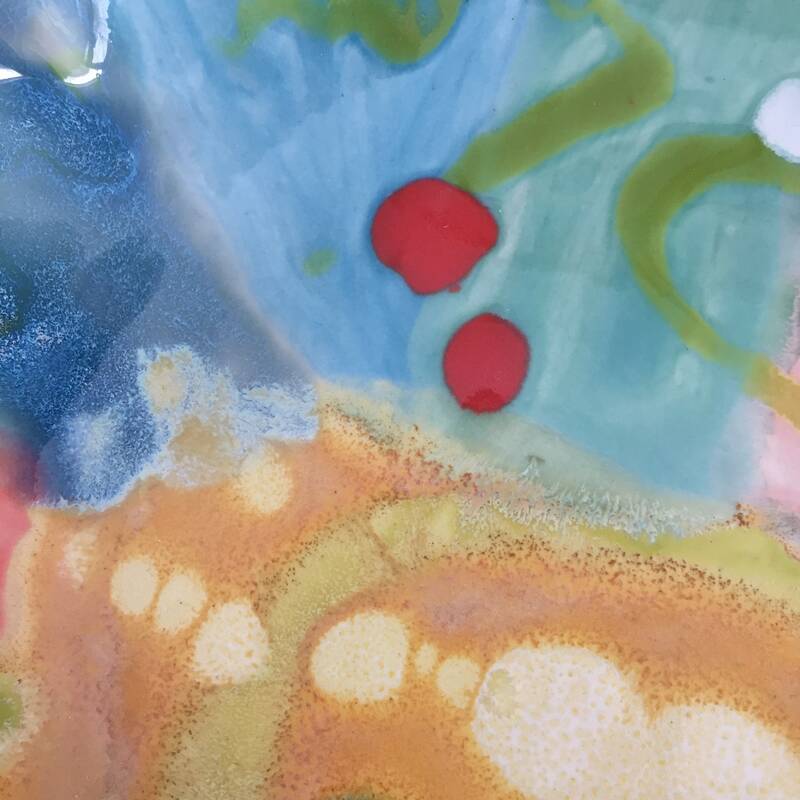 This piece is about 10 inches across, and a little more than an inch deep. 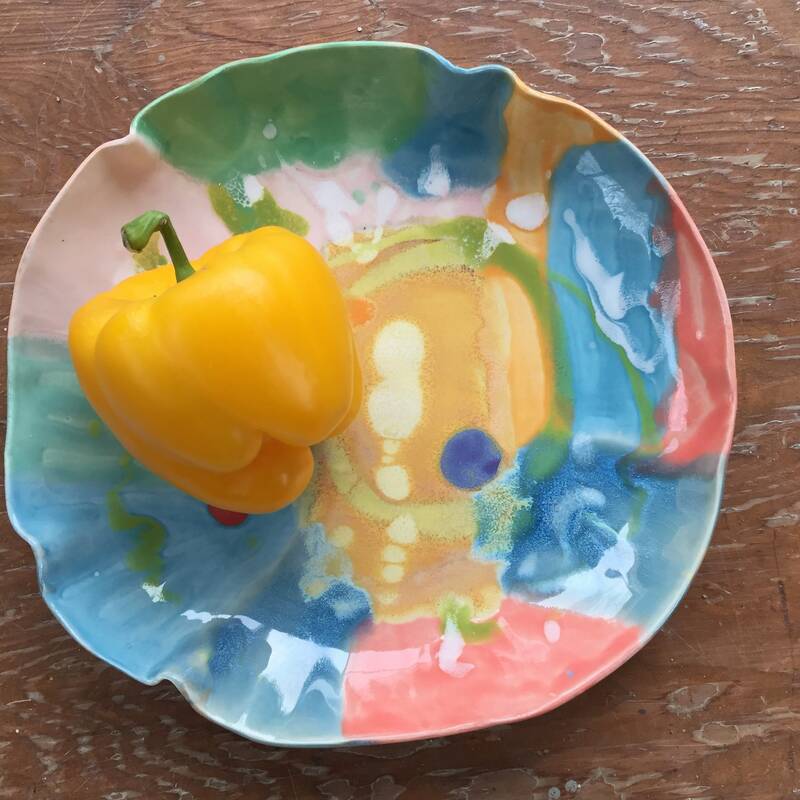 Use it for fruit, a small composed salad, serving rice or vegetables, or simply display it as a decorative piece on your island, coffee table or on a plate stand on a mantle or shelf. The colors will make you happy when ever you glance their way. It's almost a shame to put anything in it!